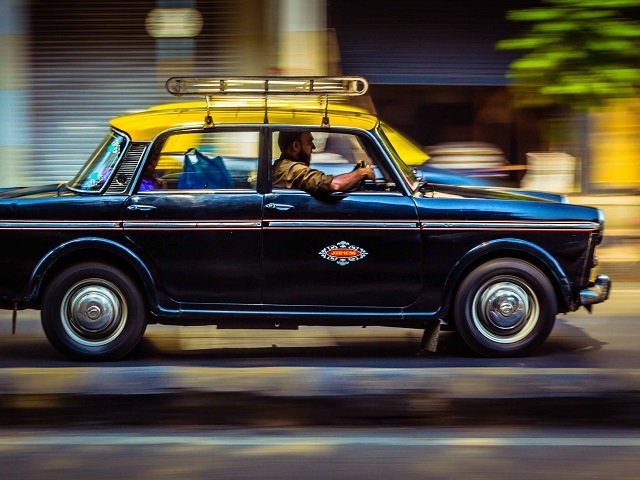 Technology-enabled taxis are helping fill a mobility service vacuum in Indian cities. Photo by Chrisbirds.com/Flickr. New mobile technologies are helping transform mobility services in cities worldwide, including across India. EMBARQ India interviewed Arvind Singhatiya, Vice President for Corporate Affairs at OLA (formerly OLA Cabs), to better understand how mobile technologies are helping to meet growing demand for urban mobility in India. Hear more from Arvind at the Transforming Transportation 2015 conference (#TTDC15), where he’ll speak on innovation and entrepreneurship in urban mobility for Indian cities. Why is a service like OLA important for Indian cities? How has OLA grown over the last few years? Indian cities are the country’s growth engines. With the current growth rate, the need for reliable mobility services has become critical. There is a huge gap in supply and demand of public transport with decreased resources and increased commuters. The rise of private vehicles has added to the challenges of urbanization, including increased traffic and parking problems in Indian cities. However, the growth of smartphone use and mobile Internet has enhanced access among city dwellers. The name “OLA” comes from the Spanish word “hola,” which means “hello.” A trademark of ANI Technologies, OLA first introduced the concept of booking a cab through an online mobile platform in India in 2011. In the short span of three and a half years, the mobile app has become country’s most downloaded and used app. The number of vehicles using OLA software grew from 100 to 60,000 in this time, and total commuters grew from a few hundred to more than 100,000 every day in 54 cities across the country. OLA has helped citizens understand and use intermediary public transport (IPT) instead of their own vehicle because OLA is equally convenient. It addresses the challenges of vehicle ownership like cost and parking struggles. We estimate that a single OLA cab removes 6 cars from the road. In addition to cabs, OLA software is now empowering auto-rickshaws in the country, a hugely unorganized sector, but one that has the potential to reach every commuter. Common challenges with three-wheelers are non-transparent fares and undue haggling with drivers, but those piloting the OLA software for rickshaws have accepted the platform and decided to follow the government meter fitted in them, making rickshaws visible to customers through the app and making payment more transparent. Most drivers using OLA software are actually micro-entrepreneurs who own the vehicle. We help drivers with business intelligence to enhance their earnings; with the use of analytics we are able to identify high demand zones in every city that helps drivers get more bookings and helps commuters get a reliable service all the time. How is the demand for mobility services in Indian cities expected to grow? What role do taxi aggregator services like OLA play within the larger urban mobility network? The exponential rise of OLA’s service is clear evidence of the mobility service vacuum existing in India. These are exciting times and the mobility revolution is about to begin. India is on its growth trajectory, the new government and its policies are business and investment friendly, and mobility will become one of the most important factors for growth. We are not just aggregators but an online transport facilitation platform, which is a much wider term embracing all possible modes of transport that can be accommodated by our platform. We look forward to playing an important role in the growth story of India. In your opinion, what are the key actions city leaders can take to support sustainable and efficient mobility? Mobility has become a basic need and the easiest way to fulfill it for some is to own a private vehicle. This may not be the best solution; promoting intermediate public transport should be the first step to ensure last-mile connectivity for any public transport system anywhere in the country. A robust public transport system complemented by efficient intermediary public transport (cabs, rickshaws, and more) solves half of the challenges in mobility. Multi-modal transport through public transport and intermediary public transport should be backed with a common payment system that integrates the whole system and gives commuters a seamless experience. A robust public transport and intermediate public transport system should be supported through taxation to discourage use of personal vehicles in order to improve the city traffic and parking challenges. This will also address the issue of vehicular pollution by reducing vehicles on roads. Mobility should now be at the helm of urban planning discussions. A city transport plan looking at the way people move around by different modes of transport is essential. These include walking, cycling, bus, train, taxi, motorcycle, car, freight vehicles, and more. To develop the most effective mobility plan, it is vital to involve the public to ensure that the end result is something that brings them the greatest benefit. What does a supportive ecosystem for innovation and entrepreneurship in urban mobility look like to you? There are a few key factors for a supportive ecosystem. Transport-related legislations should be updated regularly to keep up with the country’s changing mobility environment. A simpler regulatory regime that ensures commuters’ safety and security and accommodates innovations is necessary. In other words, we need fewer gray areas in regulations. Integrating land use and transport planning also offers clear benefits in reducing travel time and enhancing accessibility. Finally, alternative mass transit options need to be explored by appropriate studies and research. Don’t forget to tune in to Transforming Transportation 2015 (#TTDC15) to learn more about advancements and innovations in urban mobility for India.